San Francisco’s Dealmaker Media is coming to Vancouver once again. GROWtalks, the popular one-day events inspired by Dealmaker Media’s annual four-day networking conference in Vancouver, will take place on January 25 in Vancouver. GROWtalks are one day conferences focused on “how to create simple, actionable metrics and use them to make better product and marketing decisions”. Industry experts share actionable advice on how to improve design, product and customer development, acquisition, retention and more. They’re enjoyable, day-long events that typically select bright and enthusiastic minds in the small business space of a given city, and have these people present 30 minute talks. Interspersed with lunch and coffee breaks, the day serves as a good networking opportunity, while enabling Dealmaker Media to keep the annual GROW Conference fresh in potential ticket-buyers’ minds. Tickets go on sale on January 6, but DealMaker Media is offering $50 off if potential attendees “apply” for a discount. The last two GROWtalks events were in Toronto and Montreal, back in February of this year. 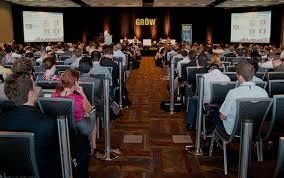 The annual GROW Conference was in August in Vancouver, while 2014’s GROW Conference will once again be held in Vancouver, this time on August 20-21. When I attended last year’s GROWtalks day-long session in Montreal, several notable speakers like Dan Martell, Brant Cooper and Chris Arsenault gave talks. The most memorable was when 5by’s Greg Isenberg (and this was before he had actually founded 5by) spoke about his “million dollar mistakes” as a young entrepreneur and angel investor. Then 23, Isenberg recounted how he lost over $1.5 million between the ages of 18 and 22.